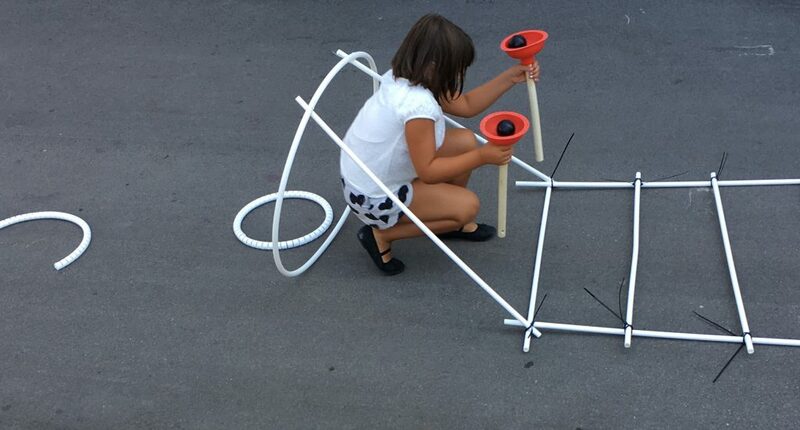 Three days with indoor and outdoor workshops by All About A at KU.BE ended with Danish children as well as children from abroad on holiday in Copenhagen designing, constructing and testing their architectural obstacle course 1:1 using selected materials. The project was also part of the Frederiksberg Days 2018 supported by Frederiksberg Municipality. Thank you so much to all participating children and families for visiting us at KU.BE.